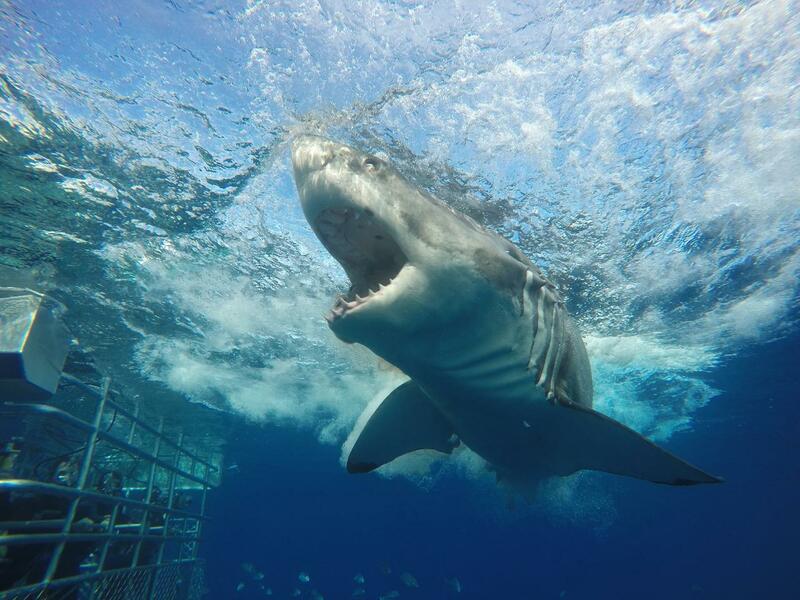 Our 1-day Shark Cage Diving Charters are an AUSTRALIAN FIRST with Port Lincoln being the only place in Australia where you can cage dive with Great White Sharks. 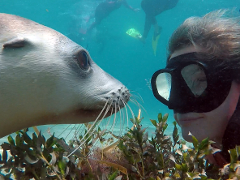 Awarded the Best Adventure Tour & People's Choice for the Best Attraction at the 2018 South Australian Tourism Awards, more people choose to cage dive with us than any other operator in Australia! Calypso Star Charters is honoured to be fully licensed by the South Australian Department of Environment. We are also privileged to be the only one day operator permitted by the Fisheries Department to use natural fish berley to attract the Great White Sharks to our boat at the Neptune Islands Marine Park. The use of berley gives us the highest chance of sighting sharks and productive interaction close to our vessel and cage, resulting in a memorable encounter and wonderful photographic opportunities both inside the cage and from the boat. Along with our license to berley in Australian waters, we are proud to be Advanced Eco Certified, Carbon Neutral and a Climate Action Leader. If you are making your own way to the boat in the morning please ensure you arrive by 6.20am. Travel time to the Neptune Islands is approximately 3 hours, and we do travel through open ocean. We STRONGLY recommend you take travel sickness medication as a precaution, taking one the night before your charter and one again the morning of before arrival at the Marina. Morning tea, lunch, afternoon tea, cappuccino and filtered water included. Soft drinks and bottled water are available for purchase throughout the day. As a licensed vessel the bar opens on the way home with beer, cider, wine and champagne available for purchase. We have often had Great Whites around the boat before dropping the anchor. Groups enter our new spacious cage up to 8 at a time leaving plenty of room for prime shark viewing! Once the sharks arrive each group will have the opportunity to experience cage diving face to face with the amazing Great White Shark. Please note that the cage diving time can vary and will depend on the shark activity and weather on the day. View these marvellous creatures through the crystal clear water that surrounds the Neptune Islands. While you aren't in the water you don't miss out, the action from the very spacious upper and lower decks is fantastic. Keep your camera on hand for those prime photographic opportunities. PLEASE NOTE: The Visitor Use Fee is payable by all guests entering the Ron and Valerie Taylor Marine Park (Neptune Islands) on a shark cage diving tour. This fee is used to cover the Government management, research and compliance costs associated with the industry.